I met Wil Wong Yee on the top of a seven-story parking garage Downtown. I was a little apprehensive, but when I saw the view, I completely understood what had drawn him there. He set up his easel overlooking the heart of Downtown. In the distance, the Nationwide Arena spotlight danced playfully, and the city glowed with the promise of another winning Blue Jackets game. As we talked, he deftly began sketching the start of his cityscape. He’s quick to smile and laugh, something that is especially impressive from someone who has truly run the gauntlet of life. A central Ohio native, he grew up in Whitehall and graduated from the Columbus College of Art and Design with a degree in industrial design and an affinity for illustration. When a car accident resulted in an injured hand and the loss of his portfolio, he turned to the life of a waiter and worked in the restaurant industry for eight years. A couple of odd jobs, a scare with pulmonary disease and a personal tragedy marked his next few years until the pull to return to art became too strong, and he began creating again. But despite that, his outlook on life is as bright as his paintings. Yee’s style is a testament to how he sees the world. It’s an explosion of color offset by bright city lights. It’s the visual representation of the feeling you get when you walk through a city that is uniquely yours in that moment, when the sidewalk is your catwalk and you can almost hear the soundtrack to your life playing in your ears. He paints the mundane with a lens of optimism, each painting a place you’re familiar with but feel like you’ve never really seen at all. He starts each piece by finding a location and just observing, something he calls “seeing through the city.” From there, he sketches out the basic shapes in permanent marker, and begins a base coat of spray paint. Even in those preliminary stages, the tone and inspiration are already obvious. Because he paints on location, Yee never takes brushes. They’re inconvenient to wash. Instead, he uses his own hand as a brush, finger-painting each detail. He layers paint and pen over and over again, and the end result is highly textured, a look he laughingly tells me people describe as “unfinished.” He enjoys drawing not just from what he sees, but also in unique color patterns and moods, such as the paint on a vintage toy. At the forefront of each of his works is the vibrancy of city life. Each painting is an homage to Columbus and the people who live in it. He truly loves the city, and his work has brought him closer to its people. If you ask him to define who he is, he’ll probably say “artist” and “father” in the same breath. His art is not just a labor of love; it’s a way to connect with people, from his son to the people he’s met on the streets while painting to the people who need help. A strong advocate for human and animal rights, he frequently works with both ACT Ohio, working with rescue animals, and Project Redeem, which aids underserved families and children. Art, he’s found, can make an impact. In the future, he’d like to start his own pro-illustration shoe company. The company, called Chili Wong, is already in the works. He wants to design blank shoes to take to students and other groups and encourage them to illustrate directly on the shoes, using the platform of art to really help. He would also like to travel, and paint cityscapes that examine other cities and other people. Yee is represented by Hayley Gallery in New Albany. An exhibition of his work, titled My Perspective, opens there March 18. Wil is an amazing talent. We are so happy he's getting the recognition he deserves and are proud to represent him at Hayley Gallery. 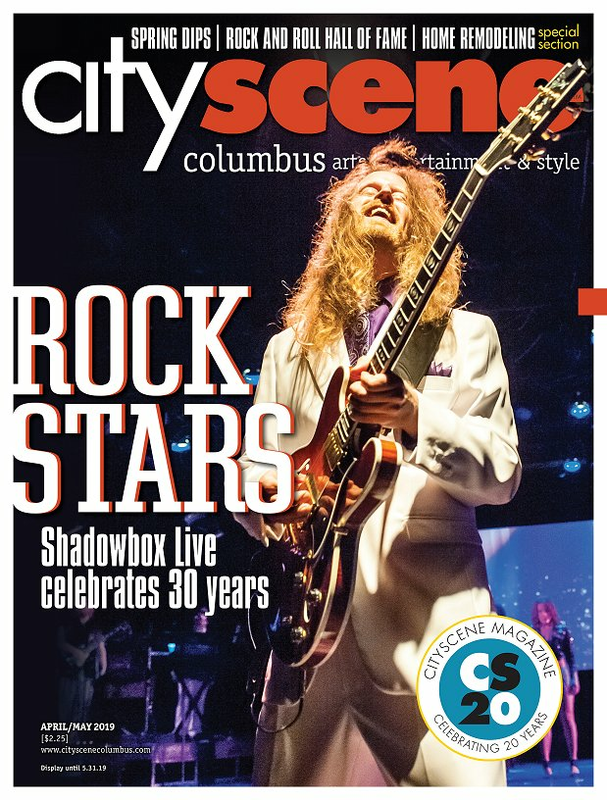 Thank you CityScene!